Thursday was our busiest day yet. 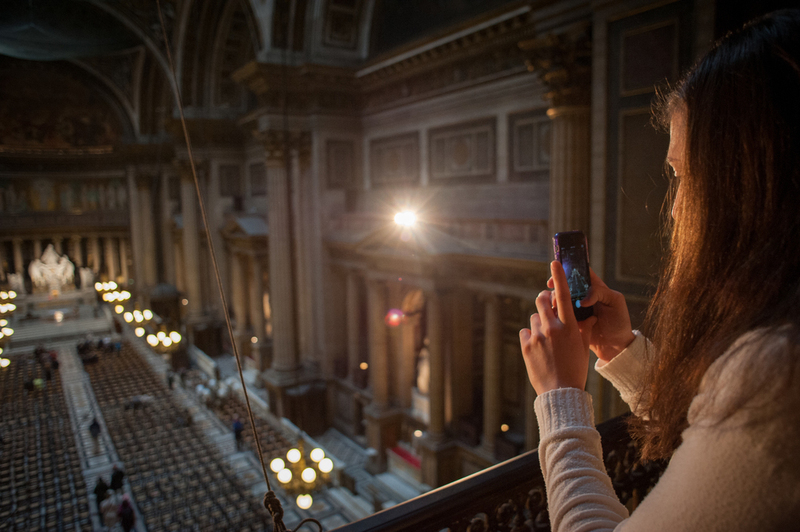 We left our apartment shortly after 9 and headed to the Church of La Madeleine to visit a 1845 Cavaillé-Coll, which had previously been the organ of Saint-Saëns, Fauré, and Demissieux. 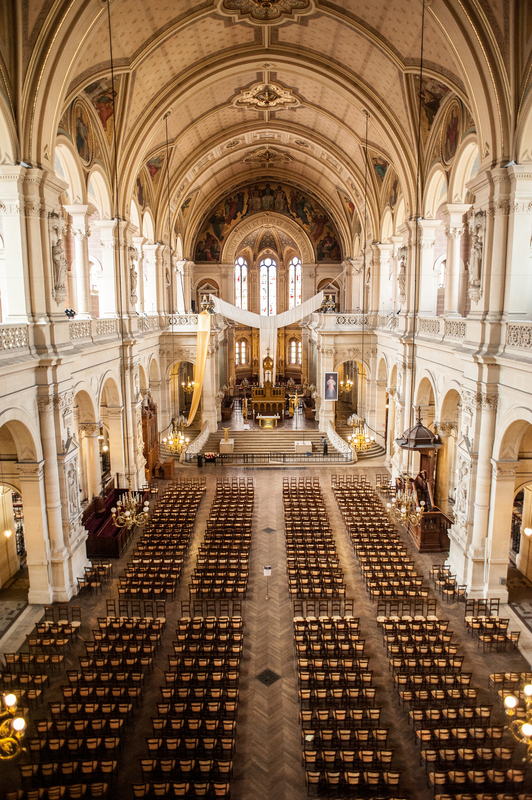 (La Madeleine was also the location of Chopin’s funeral, at which the organist Lefébure-Wély performed two of Chopin’s opus 28 preludes on the Cavaillé-Coll). We were greeted by François Henri Houbart, who demonstrated the instrument’s capabilities with an impressive improvisation. Afterwards, he invited us up to try the organ. Even Chris played! 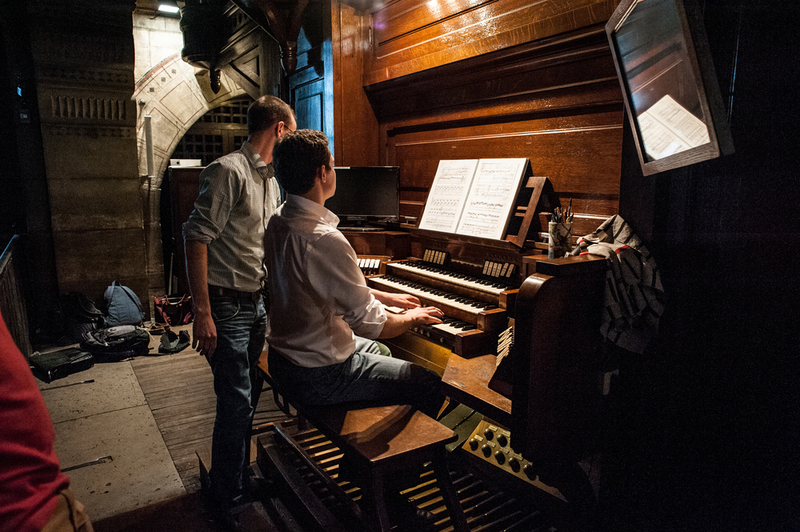 At one point, some organ technicians had to come up to fix a faulty pipe. 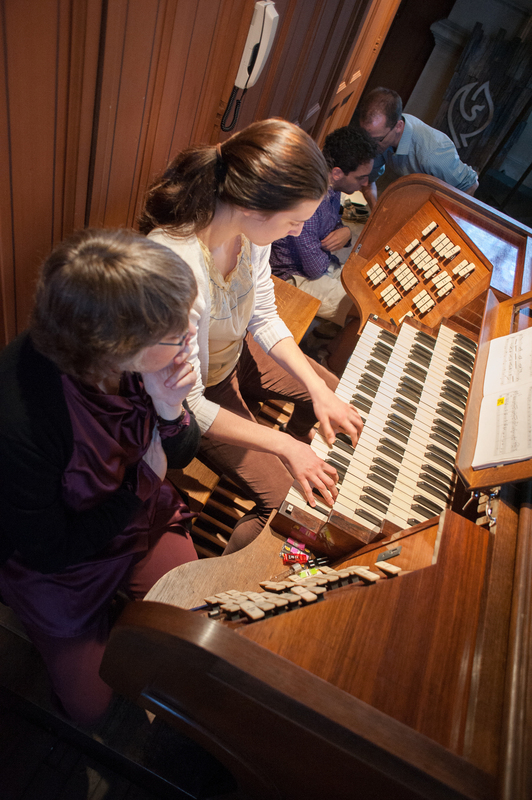 We overheard him telling one of the technicians that he wasn’t always happy when seventy year old American organists visit and play “de la merde,” but that it was a real pleasure to have young students come and play well! Right after saying goodbye to M. Houbart, we headed to the Church of la Trinité to attend a recital by Dr. Michael Bauer, an American organist. 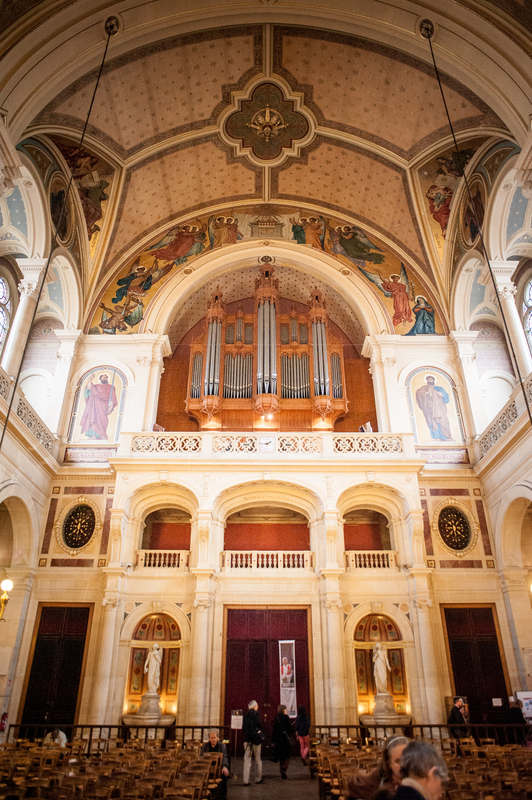 Guilmant and Messiaen had been organists at la Trinité. 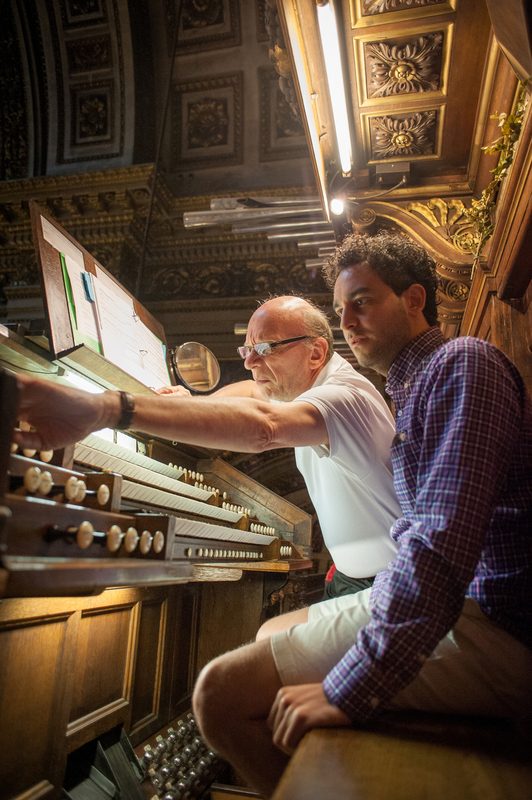 David and Joey played pieces from Messiaen’s La Nativité du Seigneur, allowing us to hear the music the same way Messiaen would have heard it. 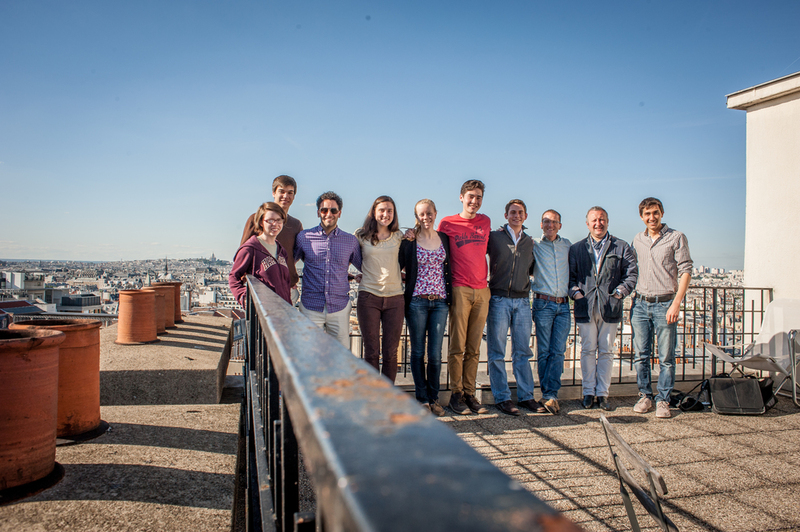 We stuck around for a little while to listen to a brief recital by our host, Carolyn Shuster-Fournier, then headed to the 5ème arrondissement for our next stop: Maurice Duruflé’s apartment. But along the way, because so many of us were hungry and grumpy and tired (despite having taken several short naps throughout the morning), we had to stop for a meal. We ate a quick meal of pizza, paninis, and pastries, then hurried to the apartment. There we met with Frédéric Blanc, who had been a student of Duruflé’s wife, Marie-Madeleine, and who now lives in the apartment. He brought us up to the eighth floor and into the modest apartment. 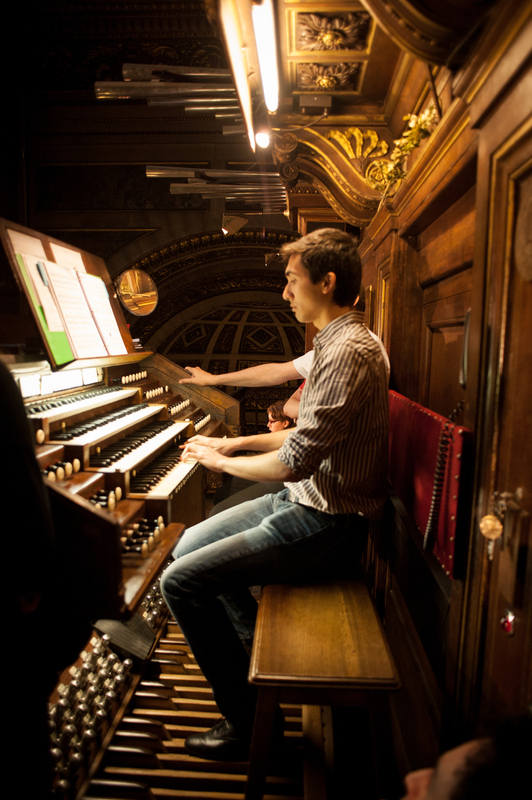 Despite the size, Duruflé had installed a three-manual practice organ! M. Blanc even brought out an original manuscript of Duruflé’s Prélude sur l’Introit de l’Épiphanie for David to play. One more thing amazed us: from the balcony, we could see the entire city of Paris. The best view in Paris — like a dream! M. Blanc then brought us to Notre-Dame d’Auteuil, home of a 1885 Cavaillé-Coll. “It sounds like a dream,” he kept on telling us, and soon we were able to confirm that ourselves. 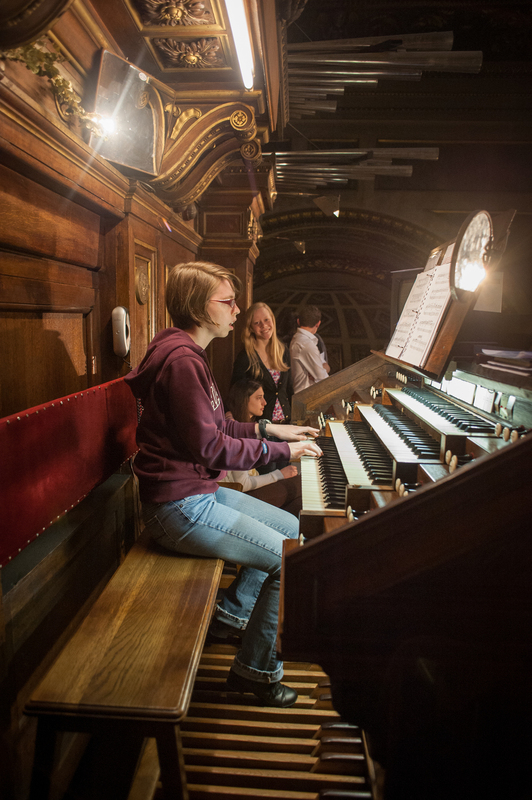 We took turns playing a variety of French romantic music (and some Bach) on the organ, experimenting with the beauty of the instrument. After grabbing some ingredients from the grocery store (which nearly refused to let us in, since we arrived as it was closing), we made it back to the apartment. Chris, Gianmarco, and Noel prepared a shrimp risotto for dinner, which was finally ready to eat a little before midnight. It was a long day, but we all agreed that it was one of the most inspirational.